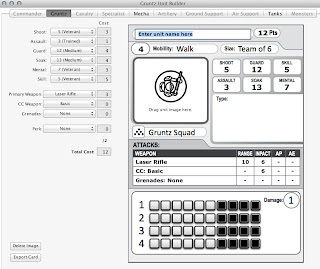 One of the things I wanted to achieve with Gruntz 15mm was the ability for players to create troops with different armour types to match the miniature and armour types. This Arc fleet rifle is pretty much an average unit with a Guard (How hard it is to hit them) at 12 and Soak at 12 (Armour type). 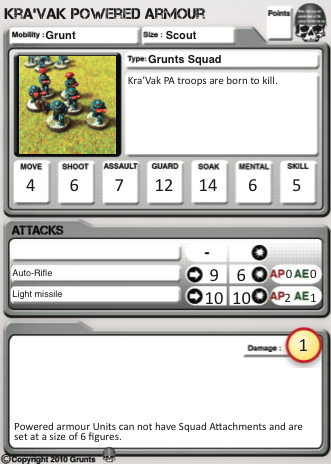 The higher these two statistics are the longer the unit will survive on the battlefield. Gruntz have a standard unit size of 6 and only one damage point each, so once hit by incoming fire the higher Soak factor will provide better protection. A soak of 12 is a representation of a squad with standard armour, the kind of light body armour, perhaps mostly focused on upper body regions and a helmet. Soaks lower than 12 can cover civilian or militia style armours, perhaps 11 could be used for a post apocalyptic biker rebel with heavy leathers and 10 for a standard non armoured troop. 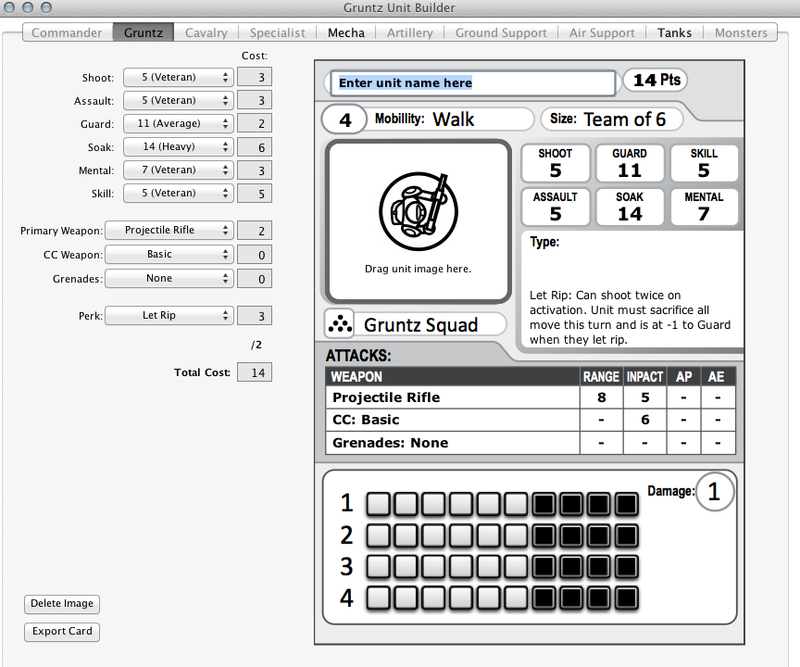 This profile below is a generic Gruntz squad but with a Power Armour levels of Soak at a factor of 14. 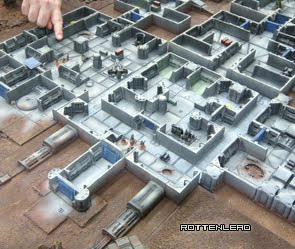 With a 14 Soak the unit will be able to stand up against small arms fire at but will still take casualties but certainly at a lower rate than you would if the unit had standard infantry armour. These are the GZG Kra'Vak Powered Armour troops and they have the Guard factor of 14 and two squad members with micro-missiles. 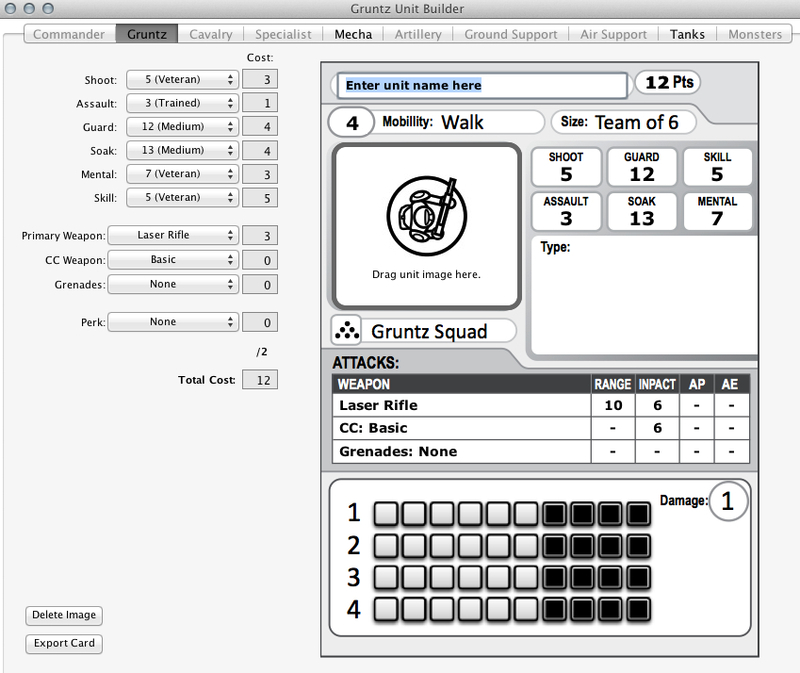 This sample below is of an infantry build with the Soak factor at 13. The factor of 13 is what I would normally use to represent a hardsuit type unit. They are not as tough as the Power Armour suits but they have more protection than a squad with standard body armour. WOW! I love this new unit builder! The unit builder is dead. 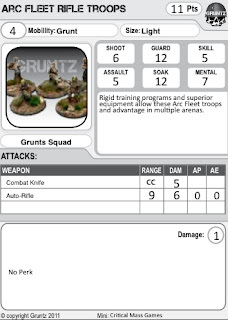 My group was big into the Gruntz Rules when it first came out but with the delay of the promised v1.1, no one wants to print out the rules and kill an ink cartridge just to have them change up in the near future. Since the cards are such a big part of the game, some way of creating them easily is pretty necessary. The Yahoo group has some attempts at creating them but that only illustrates their is a need for something. The Excel doc has some errors on it as well. We've found not everyone is techno savvy to create their own cards so that's also hurt interest. Kudos to Robin for doing this much though since he's pretty much a one man band! The unit builder is far from Dead although JC seems to know more than me ;) The software above was not vapor-wear it was in test and a working beta. However the developer suddenly had some other work come up and, without a budget for it, I have to rely on help from opensource developers that are willing to commit the time. This is something I want to sort out but the priority is currently on the v.1.1 tweaks and updates. 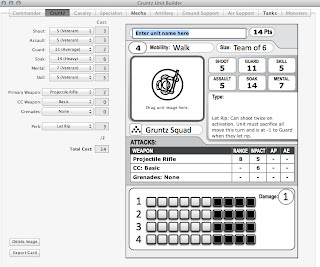 I do appreciate that there are players out there that want it but Gruntz does not even cover my expenses as a lone writer/publisher, so any investment in resource to write code would be too costly. This could change soon and I will always be looking for ways to get it up and running. 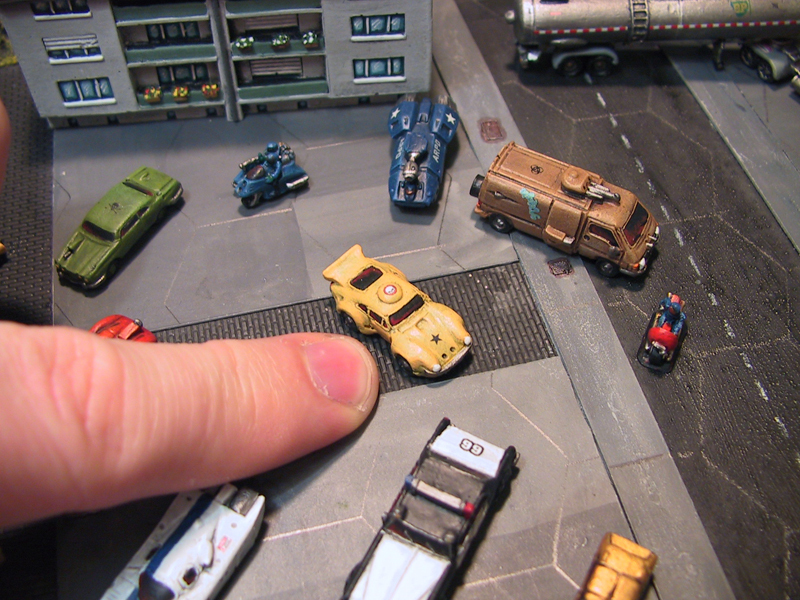 Any news will be published on the site when I have it.